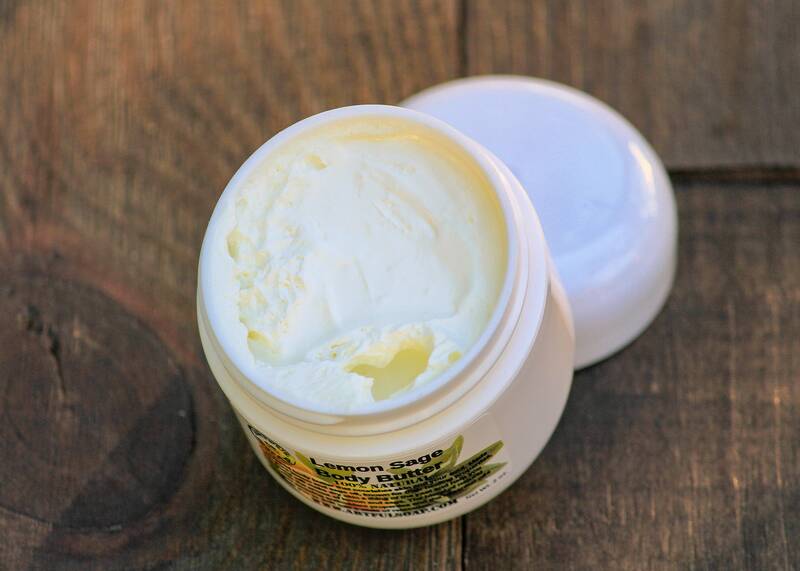 A whipped body butter that nourishes skin and your soul. 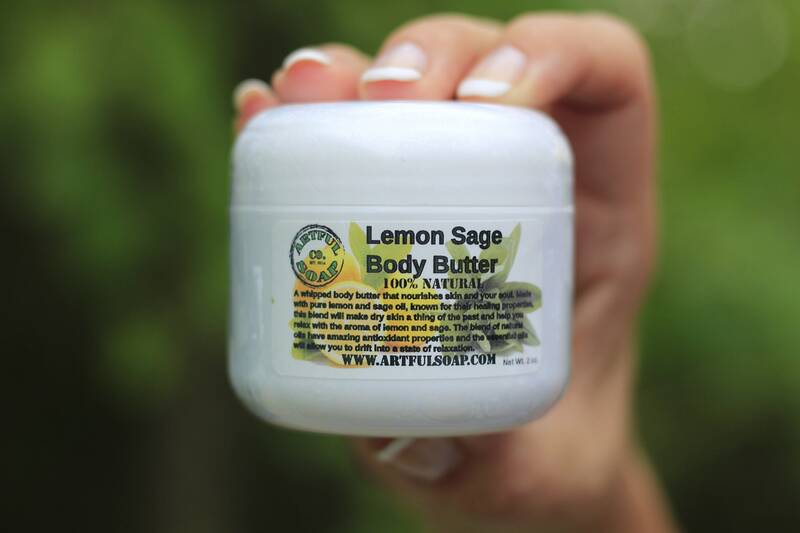 Made with pure lemon and sage oil, known for their healing properties, this blend will make dry skin a thing of the past and help you relax with the aroma of lemon and sage. The blend of natural oils have amazing antioxidant properties and the essential oils will allow you to drift into a state of relaxation. 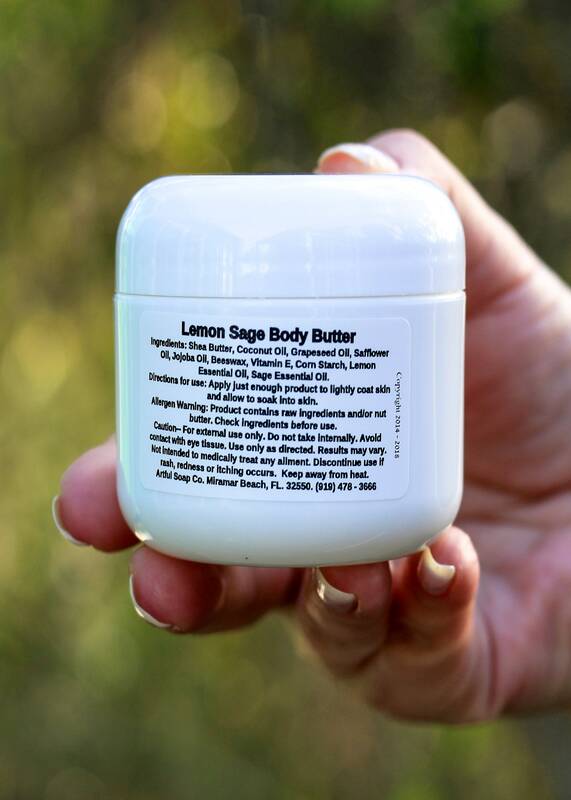 Ingredients: Shea Butter, Coconut Oil, Grapeseed Oil, Safflower Oil, Jojoba Oil, Beeswax, Vitamin E, Corn Starch, Lemon Essential Oil, Sage Essential Oil. 2 oz net wt.